The Metropolitan Museum of Art in New York City is one of my all-time favorite art museums ever. I would happily live there if they had dormitories (c'mon, living with art? I'd be on that in a heartbeat), and have spent many hours browsing through their expansive collections. Knowing that what the public sees on display is only a tiny fraction of their collection, even with a museum as big as the Met, sends my little art-loving heart swooning. I'd love to see what's in the store rooms; wouldn't you? 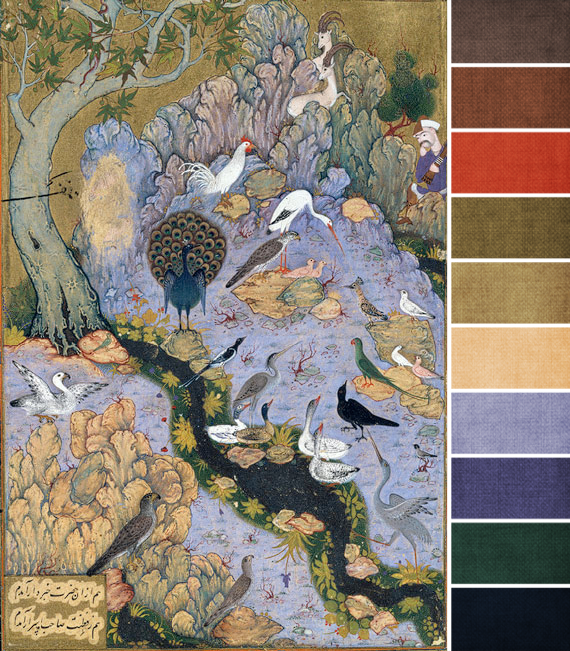 So, I'm not surprised that this month's challenge piece, an illuminated page called The Conference of the Birds, from the manuscript of the Mantiq al-Tayr of Farid al-Din Attar, calls the Met home. After multiple visits, there are still rooms I haven't been in, the museum is that large. I'm glad that I get a chance to see The Conference of Birds now, though. Isn't it just gorgeous? According to the info page, this particular piece of art is over four hundred years old. Four hundred years old, and the colors are still so vibrant! Mind blowing. Speaking of those colors, rich azure blues, periwinkle, and soft khakis are the first colors that I see. Looking closer, other colors appear, too - a surprising touch of orange and various browns and taupes. I'm definitely loving the deeper blue of the background, but that pop of orange makes me smile. So unexpected! What colors do you see? 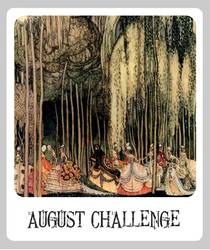 What colors do you plan to use this month? Love when you do the color plattes! 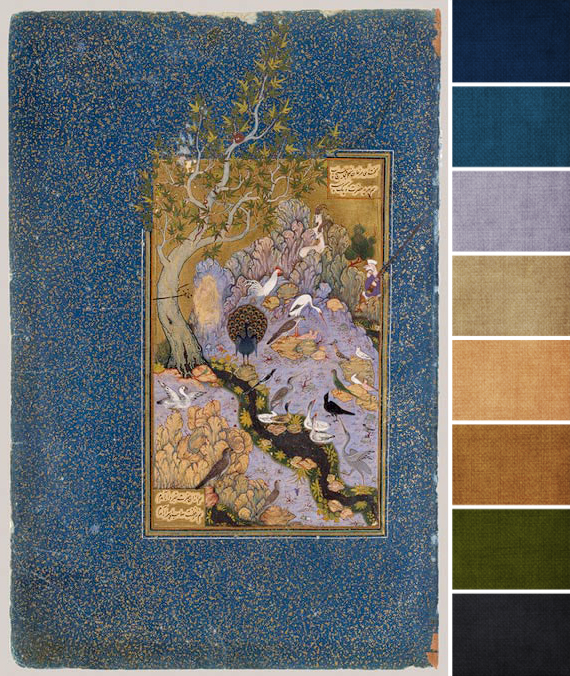 These Persian manuscripts are some of my favorite pieces of artwork! I love the small, intimate nature of them. What a great pick for a design challenge. Brandi, I recognized your beautiful color palette images the minute I stopped by ABS! Unmistakably you! I enjoyed your stories of the the Met and your time there. I never really contemplated what all could be behind closed doors, usually overwhelmed by all that is visible! I didn't realize this work was over 400 years old! As far as the colors...those gold tones just jump right out at me. The blues are what always seem to catch my eye, but this piece has SO MANY areas of interest, looking at it each time takes you some place else. The peacock and dark green stream were my focals for my submission. Hope to have it listed soon.